Apple changed the computing world forever 30 years ago today when it launched the first Macintosh. To commemorate the anniversary, the company posted to its website a video and interactive timeline chronicling not only the machine's history, but its effect on the world. As of Friday, visitors to Apple's official website are met with a new splash page wishing Mac a happy birthday. After a short intro, users are directed to the "Mac 30" mini site, essentially an interactive animated timeline crafted to tell the Mac story from its beginning in 1984. The one that started it all —the original Macintosh —wasn't just a computer. It was a declaration that the power of the computer now belonged to everyone. At the time, most people didn't even know how to use one. But thanks to the simple graphical interface of the Macintosh, they didn't have to. It was approachable and friendly, starting with the smiley face that greeted you. There were folders that looked like file folders and a trash can for throwing things away. And with the click of a mouse, you could suddenly do the unimaginable. You could move things around on the screen, change the way they looked, combine words with images and sounds, and create like never before. A new era had begun. The timeline includes high-resolution photos of legacy Mac hardware, accomplished in the company's current "hero" advertising style. Each page of the timeline marks a year in the life of Mac, with famous users expounding on how the computer enabled them to create great things or break new ground. Along with milestones marking every year, the pages have a "What people did with it" graphic that shows the spread of Mac users in a variety of fields. In 1984, for example, most Macs were being used by in music creation and photography, while 2013 shows a significant move into the consumer realm with Internet and email taking over professional-minded tasks. Apple also offers a page where visitors can tell their own Mac story. Users select which machine they started on, where they lived and how they used it. Results are shown in an interactive graph. 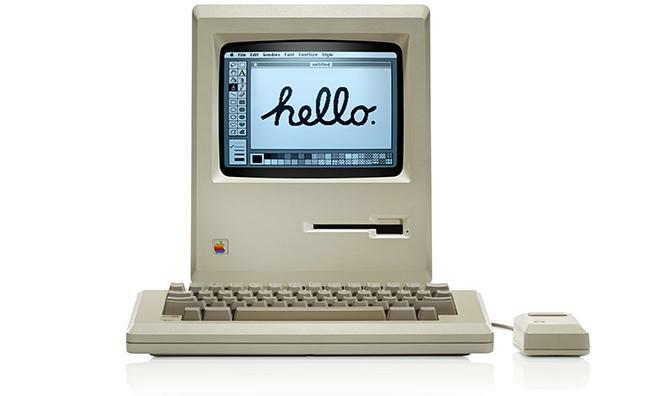 Currently, the most-selected "first Mac" is the Macintosh 512Ke from 1986. That year also saw the highest use in education and teaching, according to the poll results. With numerous interviews, beautiful photos and rich data presentation, the level of work Apple put into the mini site is obvious and goes well beyond any promotional effort in recent memory. And rightfully so. The Macintosh is one of the most important products Apple has created thus far. It brought computing to the masses; empowering both professionals and everyday users to accomplish feats never imaginable before its debut.